Do you grow your own herbs? I just planted a small herb garden in a container on my back patio, and I can’t wait to see how it does in the ridiculous Arizona heat this summer! 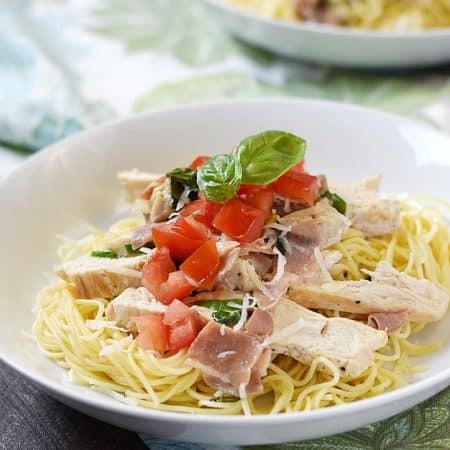 So far, the basil plant is doing quite while, so I decided it was time to to trim it up and put it to good use in this delicious Chicken with Basil Cream on Angel Hair Pasta….. I do not like thick pieces of chicken, so I like to pound them until they are even between two sheets of plastic wrap. Feel free to leave out this step if you wish. Sprinkle with pepper and set aside…..
Heat olive oil in a large skillet over medium heat. Add chicken and saute for 10 to 15 minutes on each side until no longer pink inside….. 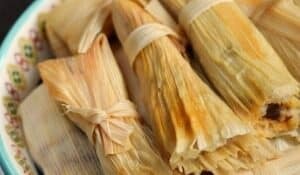 Remove from skillet and place on a plate. Add prosciutto and garlic to the skillet. 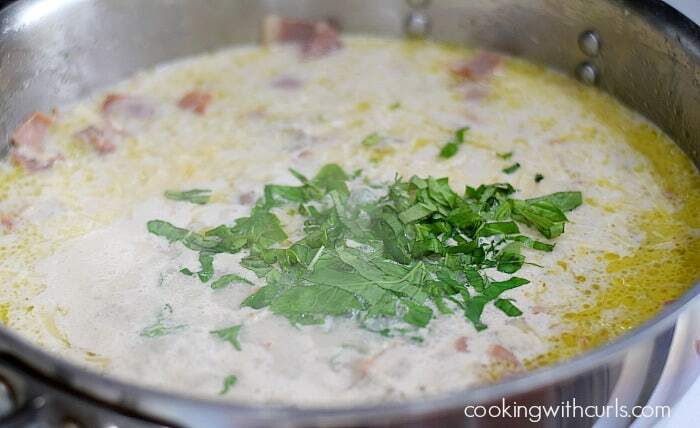 Cook for 2 minutes until fragrant…..
Add the cream, Parmesan, and basil. Stir until cheese is melted…..
Slice the chicken into thin strips and place back in the skillet…..
Stir to combine and reduce heat to low. Simmer until chicken is heated through. 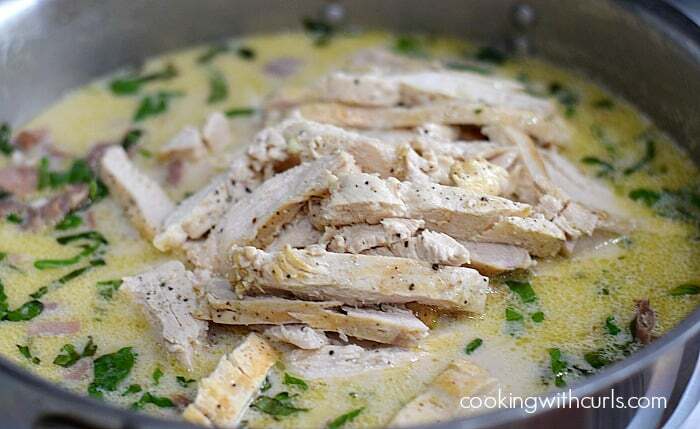 Serve chicken over angel hair pasta, spooning additional sauce over the top…..
For creamy sauce, use heavy cream. For lactose-free, use unsweetened cashew milk or canned coconut milk. Any pasta will work, I was just in the mood for angel hair. If you can’t find prosciutto, substitute 3 to 4 slices of thick-cut bacon. 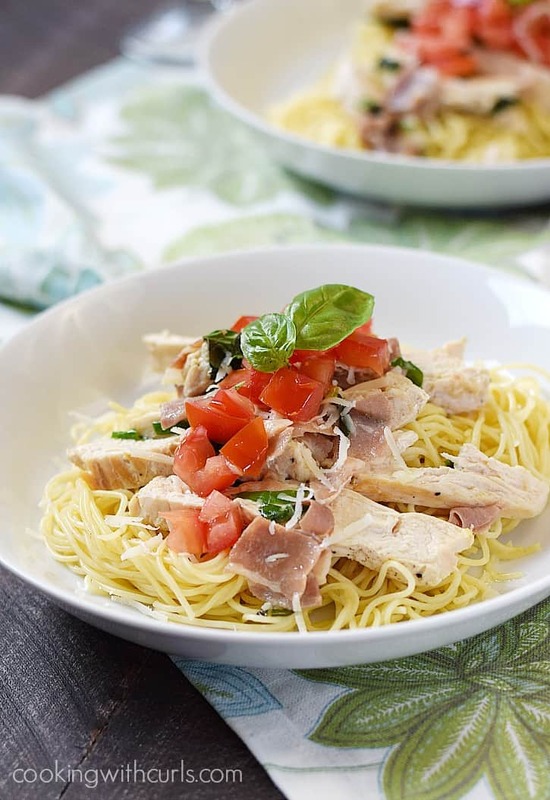 Fresh tomatoes and basil make this quick and delicious Chicken with Basil Cream on Angel Hair Pasta the perfect summer meal. 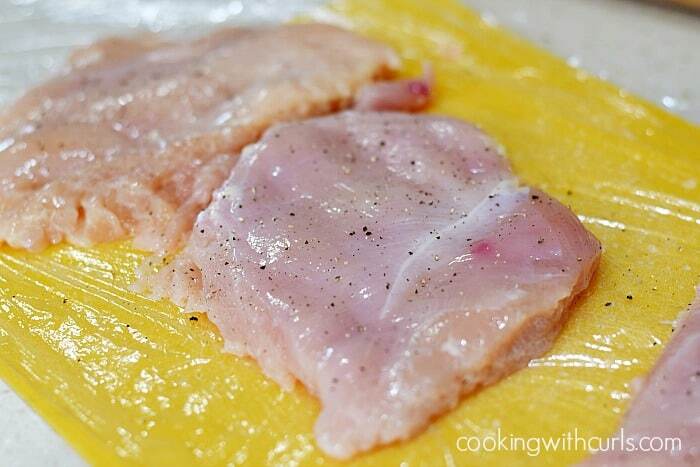 Place chicken breasts between two sheets of plastic wrap, and pound until even thickness. Sprinkle with pepper and set aside. Add chicken and saute for 10 to 15 minutes on each side until no longer pink inside. 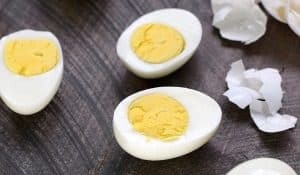 Remove from skillet and place on a plate. 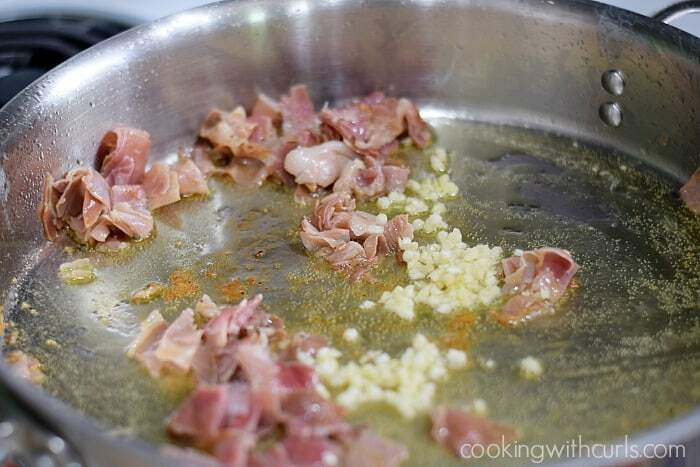 Add prosciutto and garlic to the skillet. Cook for 2 minutes until fragrant. Add the cream, Parmesan, and basil. Stir until cheese is melted. 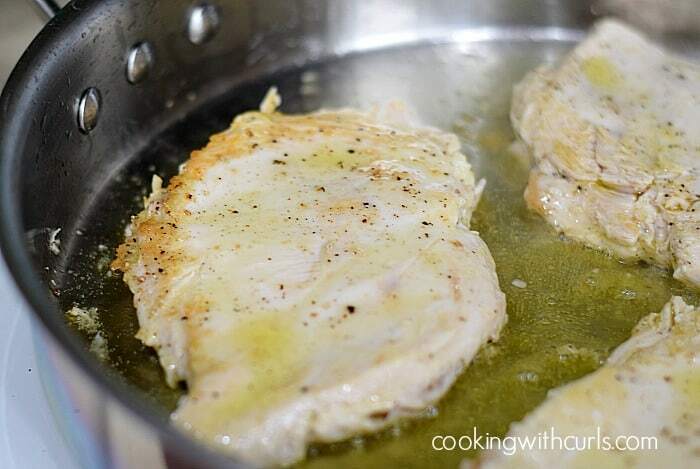 Slice the chicken into thin strips and place back in the skillet. Stir to combine and reduce heat to low. Simmer until chicken is heated through. 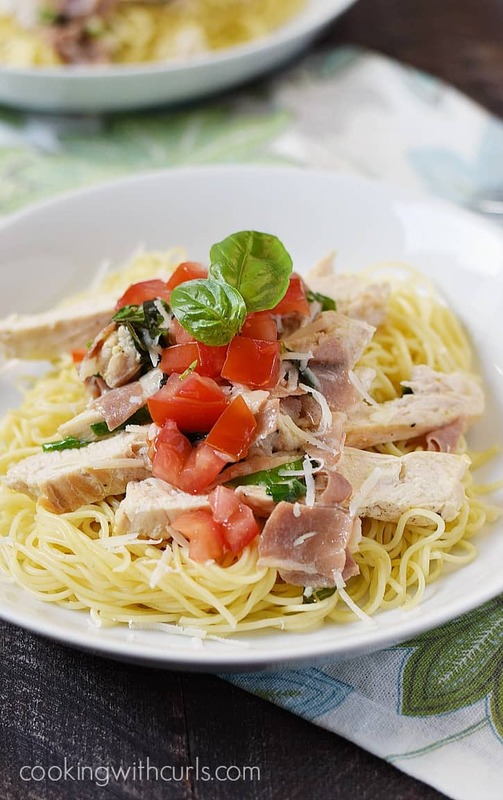 Serve chicken over angel hair pasta, spooning additional sauce over the top. Garnish with chopped tomatoes, basil, and grated Parmesan. What’s not to like with this one? How does the cashew milk compare to heavy cream in terms of calories. 2 c. of heavy cream is very rich – delicious, though. Everyone in my house would eat this! 2 cups of heavy cream has 1600 calories!! 2 cups of unsweetened cashew milk has 50, LOL I agree, the heavy cream would make this dish rich and super delicious…and divided by 4 it’s only 400 calories for the heavy cream, hehehe OMG, I cannot stop laughing. This is why I never count calories, I would be terrified to know the truth!! 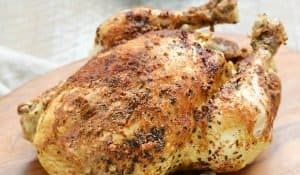 I pound my chicken too. It easier to cook even pieces, plus it tenderizes the meat. Thanks for sharing on Creative K. Kids Tasty Tuesdays. I always like to see what you bring to the party! Very nice! I have found that simple goes a long way with tomato and basil because they pack so much flavor by themselves. Have you tried a little nutritional yeast with the cashew milk?